This floater will carry your key to success! Our nifty little foam keychain in the shape of a credit card will float in water with up to 3 keys attached. 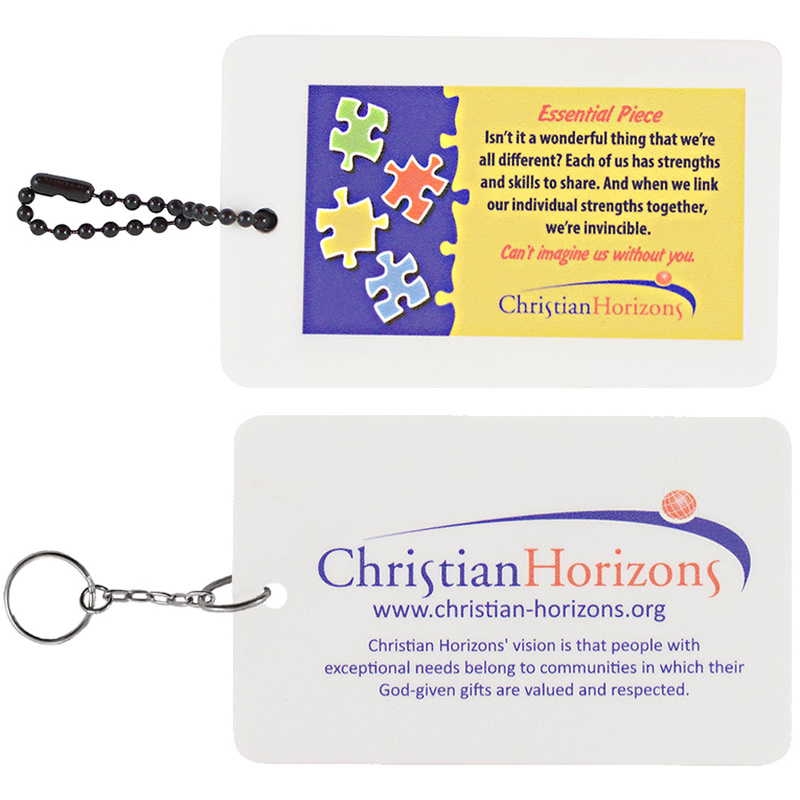 This brightly-colored 3.75” x 2.5” EVA foam floater showcases your logo with silkscreen or full color digital print. It’s lightweight and buoyant for boating, resorts and swimming pools! Your prospects will love its convenience and versatility, and always remember your brand! 3.75 X 2.5"…..Imprint Area: 3.25" x 2"